Running your own restaurant is no easy feat. It’s costly, can be extremely competitive and ridden with risks that can turn scandalous if not handled properly. The pressure to serve food that can be valuable to people’s time and money, in an age where most diners think they know better, can be stressful. Still, running a food business of your own, especially in a country that loves to eat, can be extremely rewarding too. So what do people who want to get a taste of the food industry with lesser risks do? They franchise well-loved brands. Below, we round up some of the most popular homegrown restaurant brands that you canÂconsider running as your own, coupled with the corresponding investment requirements for each one. Home to the "original fried chicken," Max’s Restaurant never gets old. In fact, even after seven decades in the business, the company still tries to innovate and remain relevant, if not through its new menu offerings, through itsÂweird, comical and viral commercial ads. And there’s no better time to become part of the restaurant’s network of partners, too. 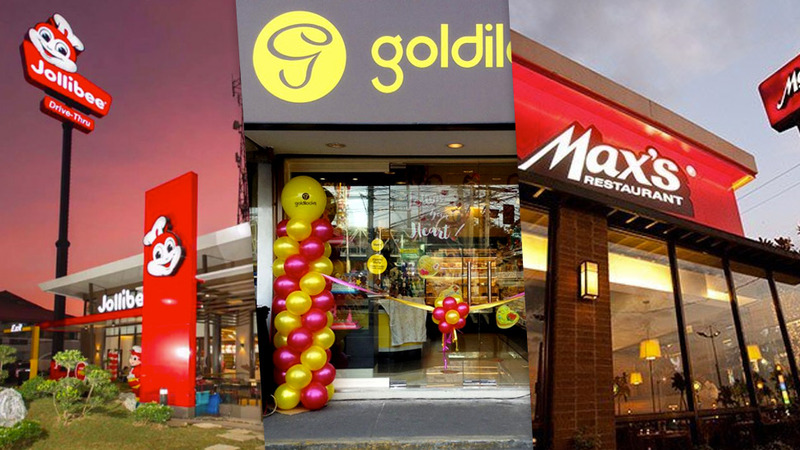 Last year, Max’s Group, the listed restaurant firm that operates the brand, said it wants to expand its footprint through franchising. As of the third quarter of 2018, 40 percent of its Max’s Restaurant locations nationwide are franchised. Similarly under the Max’s Group, Pancake House has also been growing its presence nationwide through franchising since the 1970s. When it first opened shop in Makati in 1970, it quickly gained patrons and fans, enough for it to attract franchising inquiries even during its early years. By 1978, the brand’s first franchised store opened in San Juan City. Three decades later, Pancake House’s franchising business remains strong. More than half of the company’s over 130 branches nationwide are franchised locations. At a time when the coolest cakes can be bought through Instagram,Âand mom-and-pop bakeries are sprouting all over Metro Manila, Goldilocks’ has retained its dominance over the local bakeshop business. Since its first store in Makati City in 1966, the iconic bakeshop has expanded from its pastries and baked goods offerings to well-loved savory Filipino fares. Today, the brand has over 670 stores in the country.ÂAnd it isn’t setting up shops alone. The brand offers two franchising packages, giving aspiring Goldilocks owners an option to either run their own bakeshop or a restaurant. While Red Ribbon looks like it’s been competing against Goldilocks for the longest time now, it wasn’t always the case. The bakeshop only came into the picture more than a decade after Goldilocks set up shop in Quezon City, and it remained relatively low profile until the early 1990s. Before the new millennium, the brand started opening stores in Visayas and Mindanao, gaining popularity nationwide by the early 2000s. The aggressive expansion was enough to get the attention of fast food giant Jollibee Food Corp. (JFC) that in 2006, the business acquired the once small bakeshop. Today, with JFC’s ambitious plan to become one of the largest fast food companies in the world, Red Ribbon is expected to be one of the brands to expand in the coming years, too. And the company will need partners to make that a reality. In fact, as of 2018, a majority of Red Ribbon’s 460-plus stores globally are owned by franchisees. The youngest brand in this list, Kuya J only caught the attention of Filipino diners in 2015, when it ran a TV commercial starring actor Jericho Rosales. Now, commercials fronted by good-looking actors are nothing new, but what made it effective, enough for people to try the newÂrestaurant is the million-peso question: Is Jericho the J behind Kuya J? The simple answer is, no, he isn’t, although he remains the brand’s main ambassador. TheÂrestaurant was in fact founded in 2005 in Cebu City and was acquired by Winglip Chang, the CEO of iKitchen Inc., the company operating the brand, a decade later. Since taking over the restaurant, Kuya J has become a more visible restaurant fixture in leading malls nationwide, that it quickly hit 100 stores in 2017, just two years after Chang acquired the brand. And it’s not slowing down soon. In September 2018, the company opened Kuya J for franchising as it plans to open 100 more stores until 2020. We know, Jollibee isn’t exactly a typical restaurant. But the fast food giant is the country’s most successful food business, that it opened more than one store a year in 2018 in its bid to become one of the world’s biggest fast-food chains by 2020. The next year is critical as it looks to open more stores not just in our shores, but more importantly, overseas. And it would need plenty of help from aspiring partners to get there. As of the end of 2018, 54 percent of the company’s 1,146 Jollibee stores nationwide are franchised.